The past couple of weeks has been buzzing with the news of Fortnite Mobile’s launch on Android. We had even recently reported that Epic Games, the creators of Fortnite, and Samsung have partnered to launch the Fortnite app for Android as a Galaxy Note 9 exclusive for 30 days, with the game expected to be made available to some other ‘select Samsung Galaxy devices’ for a time period of 60-90 days, following which the game will be made available for other Android devices. “Fortnite will be coming to all Android devices that are capable of running it stable and with good performance. Stay tuned for details of the launch timing,” Epic Games CEO Tim Sweeney said. Later, Epic Games’ CEO had also confirmed that Fortnite Mobile on Android won’t be available from the Google Play Store, as the company did not want to give 30% of its revenue by distributing the app via the Play Store. “Epic wants to have a direct relationship with our customers on all platforms where that’s possible,” Epic Games CEO Tim Sweeney had said. Now, according to publication site XDA-developers, who datamined early leaks of Fortnite Mobile on Android installer APK suggest that the insanely popular battle royale game, “Fortnite” will not only launch on Samsung’s Galaxy Note 9 but it will also be seen on the new Samsung Galaxy Tab S4 as well. 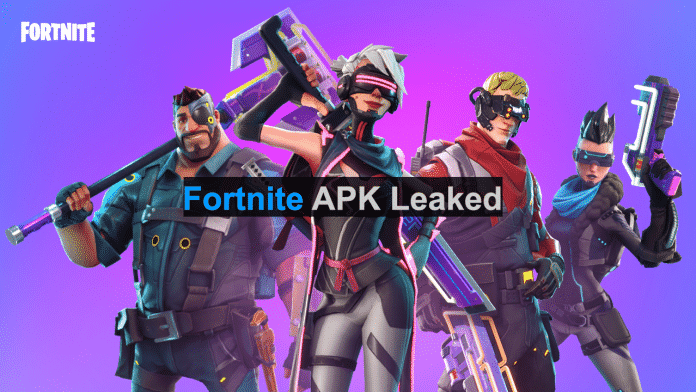 Further, another set of strings and code found in the leaked Fortnite APK suggest that Epic will be using Samsung’s In-App Purchase SDK, contained within Samsung’s app store called Samsung Galaxy Apps. In other words, it implies that the gaming app will be available through Samsung Galaxy Apps Store for at least supported Samsung devices. In other words, one cannot play the game unless his or her Fortnite account has been white-listed by Epic Games. Besides the above discoveries, XDA-developers also found a code that suggested there is a “Samsung Preorder 15000 V-bucks Promo”, which should be worth about $150. Since the Galaxy Note 9 is the only device that will be available soon for pre-ordering, means that the aforementioned promo code could apply to only this device. With the Galaxy Note 9 expected to be launched at the Samsung Unpacked event on August 9th, we shall soon find out if the leaks are accurate or not. So, stay tuned and keep watching this space for more updates!